We use stains from Bona, Duraseal and Minwax. Here some basic color samples from their web sites. 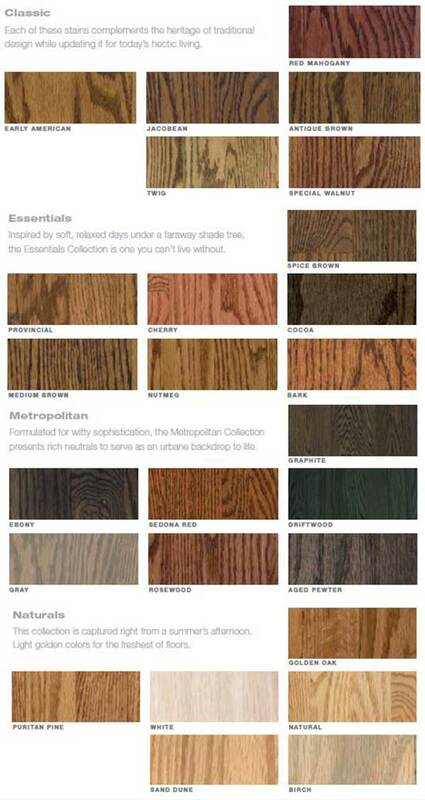 We will work with you to help you choose the stain color that fits your home and your taste. 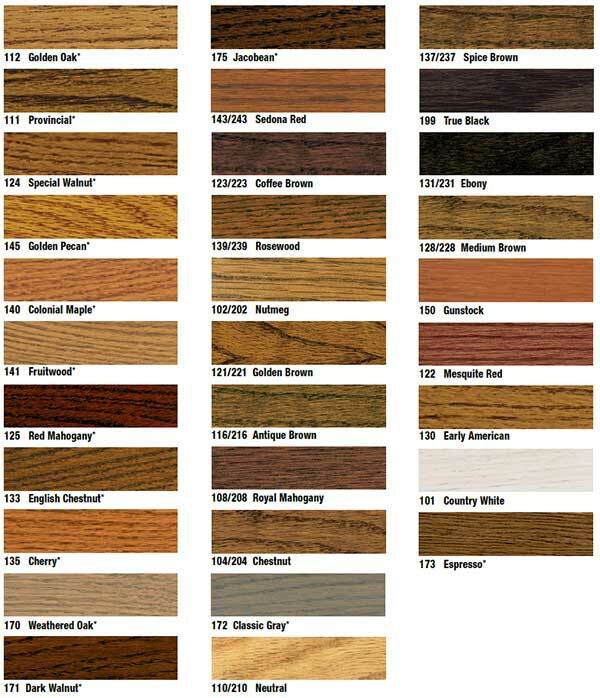 If we can't find a standard stain color that pleases you we can mix custom stain colors for your hardwood flooring. For more info on stain colors and types of stains visit our FAQs page. These stain colors come from Bona. We are part of the Bona Certified Craftsman program and also use Bona topcoat finishes to seal and protect wood floors.